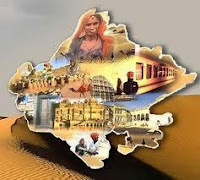 Rajasthan GK Question in Hindi Sample Paper 175: Rajasthan General Knowledge Sample Question Paper with Collection 10 Question of Rajasthan GK Questions for RAS, Rajasthan Police, REET, SI, Contable, Patwari and other state exams under GK Quiz in PDF @ Rajasthan GK Sample Papers. Rajasthan General Knowledge (GK) and General Studies (GS) Questions from various examinations of Rajasthan Govt. and central Govt Examinations. Q.3381. प्रधानमंत्री ने हाल ही में 1.25 लाख करोड़ का पैकेज जिस राज्य को घोषित दिया है ? Q.3382. बोधिवृक्ष को नष्ट करने वाला शासक कौन था? Q.3383. फोरम फार इंडियन-पैसिफिक आइलैंड्स को-आपरेशन (फिपिक) की दूसरी शिखर बैठक का आयोजन कहाँ हुआ था ?